With JWT announcing multiple redundancies these last couple of weeks it has been very disheartening to see some of the most experienced and talented creative talent in our industry no longer having impact over some of the industry's best brands and guiding the less experienced industry creatives. Having worked on both the agency and the client side I'm well aware of the impact of this endemic problem for our industry and fear that ultimately the brands are the ones that will suffer. Many in our industry often talk about the agency model as a failing model, but generally fail to offer some meaningful input on what to do about it or where things are going wrong. Brands who want more value are certainly starting to bring their creative projects in-house for more transparency, and greater outcomes for their marketing budget. As reported this month by AdWeek, Unilever saved 30% in production costs by moving to an in-house model. Unless the model changes soon agencies will loose grip of their place in the industry if they haven't already. Having pioneered in-house production for broadcast in agencies I can see this coming faster and faster now with more brands or even media agencies moving in-house. Here is my attempt at bringing some alternative thoughts to this bubbling problem, and it starts with the number one culprit – time sheets. Most agencies bill by the head hour and the focus is on increasing the head hours and reducing the overheads to maximise the return. Seems straight-forward, right? The worst thing about a time sheet model is that there is no incentive for efficiencies with multiple people loading up projects and spending excessive head hours to get jobs done. Inexperienced talent end up taking longer to do most tasks and the number of hours required on the job therefore is increased. Note that saying ‘inexperienced talent’ is not the same as saying ‘younger talent’, but in our industry the two go hand-in-hand. Agencies use the time sheets as evidence of industry and bill the client as a result. Many genuinely believe that because the time has been spent on the job that this validates the value, in a self-fulfilling prophecy. For those of us nerds this is a ‘circular formula’ that is self-perpetuating. This is impacting our industry to make us ageist in the process because the efficiencies of a senior person is not valued or even recognised. Here’s an alternative way to look at this problem with some numbers. Let's say a junior creative costs the agency $50 per hour, and a senior is $90 for example (note that the rates are fictional, but relative, for demonstration). If a junior takes five hours to do the job it will be a cost of $250 but the agency will bill it at $750 with a profit of $500, assuming a head hour billable rate of at least $150. If a senior does the same job, and finishes it in two hours the cost is $180 and billed to the client at $300 (assuming the same head hour bill of $150 per hour) with a profit of only $120. So see who is the real loser here - the brand. There is no incentive in the current agency model to work efficiently and effectively. The cost to client is increased using inexperienced talent, the agency profit is maximised and the agency profit margin is increased. You can see there is no incentive to take less time to do a potentially better job. In many agencies this down-scaling of talent also increases write offs, because a client can’t always tolerate the additional hours an inexperienced talent or poor agency process adds to the job. Every hour an agency writes off requires 2-3 times more billable hours to recover the loss even if it only exists on paper. Many write-offs are for hours outside the normal working hours, making them all the more a fictional problem. In many cases the agency only captures costs based on a standard billable day of 7.5 hours but bills a client many hours beyond this, further improving their profit ratio. The extra hours outside the average workday that an inexperienced person might do to keep up with the workload becomes a further reward for the business to perpetuate this broken model. Many agency personnel ‘double-dip’ their time sheets when they are in long working sessions for one client or project, but bill additionally for work they do on others at the same time. The salary discussion was fleshed out well by Darren Woolley at TrinityP3, further validating the financial effect on down-scaling talent and the impact this has on both ageism and gender statistics as a result. TrinityP3 often discusses overhead multiples that assume all agencies increase their head hour costs by a multiple of 2.4. This assumes inexperienced and senior creative do not always have the same billable hourly rate (as I have posed above) in order to maintain profitability margins. My experience with the smaller to mid-sized agencies (at the very least) is that this does not occur and they tend to charge similar rates for both. Many larger agencies also round out rates to a flat fee, but many larger agencies bill at the senior rates even if a junior is assigned to the project, further exacerbating the problem and making the multiple of 2.4 irrelevant here; but certainly improving the agency profit margin when using inexperienced talent even further. This is the same as working with a business that is incentivised by increasing costs. Music consultants in the production industry many years ago used to charge a fee of 6-10% on the fees they negotiated for copyright and recording rights, so there was therefore no incentive to negotiate the best price for the brand. Having put a stop to this and changing this model many years ago, most good music consultants now charge a fixed fee or have incentives for improved negotiations. Agencies are still working with outdated principles – where they benefit from increased head hours on each project, rather than for the results or for their own efficient process. Worst of all there is no incentive to use experienced, proven talent who are more efficient. Creative agencies can learn a lot from their production industry colleagues as they’re already one step ahead in being able to offer project-based value having been through the impacts of the in-house model for some time. Ultimately it would be wonderful for agencies to survive and to offer great work to brands by doing things differently. This feeds a wider production industry that relies on agencies. It is crucial to keep the best people working. 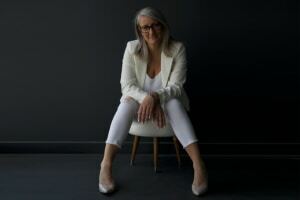 Anne Miles is MD and executive producer of International Creative Services, an artist collective and full service creative projects production house. As a former creative services business coach she sees the need to start offering an alternative model. Anne is calling for experienced and senior freelance talent in the industry to apply to be a part of the International Creative Services roster where they can be sourced for fixed fee projects including pitching work or for producing full campaigns.